My book was launched on September 19th, at Winnipeg’s West End Cultural Centre. It was a great event — well-attended, lots of fun, and livened up by the live music of Midnight Crash Deluxe. 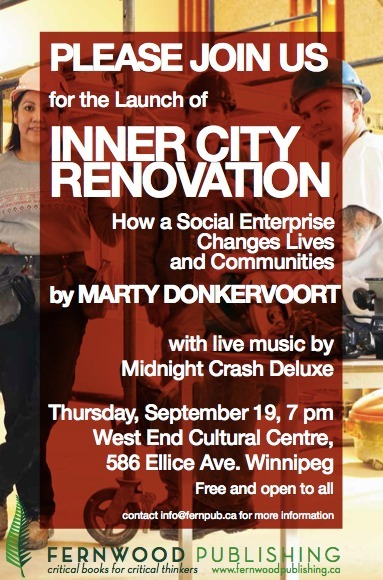 Winnipeggers can find Inner City Renovation: How a Social Enterprise Changes Live and Communities at McNally Robinson Booksellers.